Take a look at our efficiently designed signature plans available through River Hills Homes or browse some of the custom built homes below. 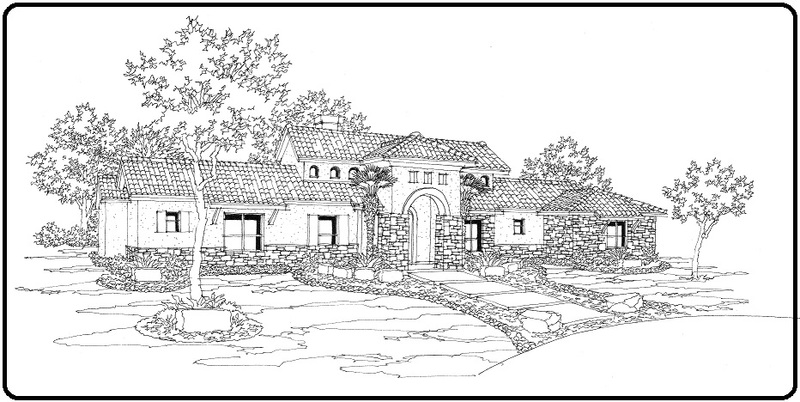 This 3300 Sq Ft 3 bedroom one story home has roots in Northern Italy. The home surrounds two courtyards that give an old world feel with the conveniences of the modern world. A two story library and an underground wine cellar are two of many features of this one of a kind home. This 2285 Sq Ft 3 bedroom one story home boasts an efficient layout with 2.5 baths and 2 dining areas. This 2390 Sq Ft 3 bedroom two story incorporates Italian architectural elements and is is setup to take full advantage of views to the front. Stone, stucco and brick textures combine with shutters and a stained trellis to create a beautiful exterior. Twin French doors can be opened to expand the great room and enjoy the outdoor living experience. A spacious master suite with separate vanities, walk in shower and oversized master closet make this a luxurious yet cost effective plan. This 2340 Sq Ft ranch house with bonus room above is a three bedroom with study that technically qualifies as a five bedroom and is perfect for the client looking to maximize the number of bedrooms in an efficient footprint. With large front and rear covered porches and a layout with a flow through feel, outdoor living is easily accessed. This 2250 Sq Ft ranch house with optional RV garage is a three bedroom that is the perfect mix of craftsmen and colonial influences. With approximately 1000 sqft of outdoor living including an outdoor fireplace the hill country life style will be easily accessible. 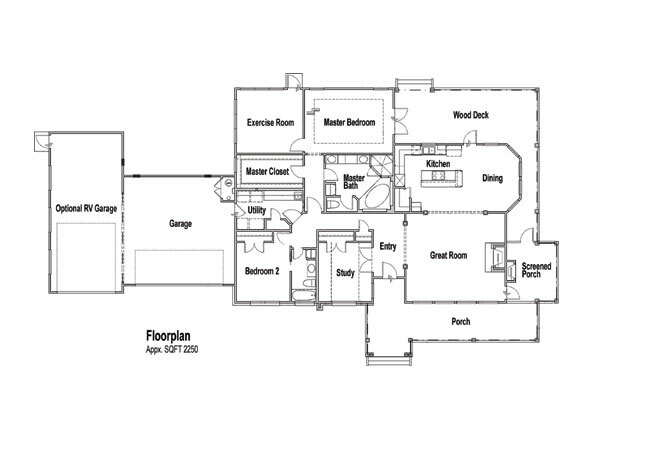 Plan includes a large master suite with oversized walk-in closet and luxurious master bath layout. Additional exercise room off of the master is perfect for the active owner.